Lime Green, Red, Royal Blue all with Black Trim. 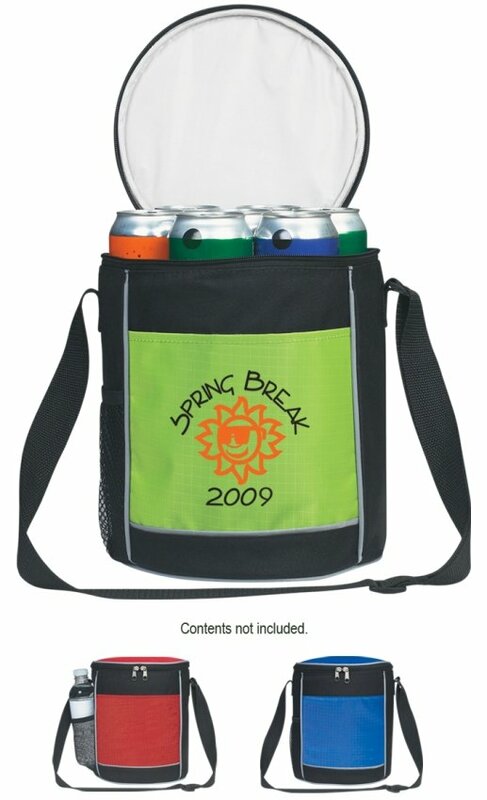 You may assort the cooler colors in lots of 50 units maintaining the same print color throughout the order. We highly recommend Black or White print color for assorted soft sided coolers as is appropriate.